DYNAMIX 0.3M 3-Pin to Clover Shaped (IEC 320 C5) Female Connector 7.5A DYNAMIX 0.3M 3-Pin to Clover Shaped (IEC 320 C5) Female Connector 7.5A . SAA approved Power Cord. 0.75mm copper core. BLACK Colour. DYNAMIX 1.2M 3-Pin TAPON Ended Female Connector 10A. SAA Approved DYNAMIX 1.2M 3-Pin TAPON Ended Female Connector 10A. SAA Approved Power Cord. 1.0mm copper core. BLACK Colour. DYNAMIX 0.3M Figure 8 Power Cord - 2-pin plug to figure 8 DYNAMIX 0.3M Figure 8 Power Cord - 2-pin plug to figure 8 (IEC 320 C7) connector 7.5A. SAA approved power cord. 0.75mm copper core. BLACK Colour. 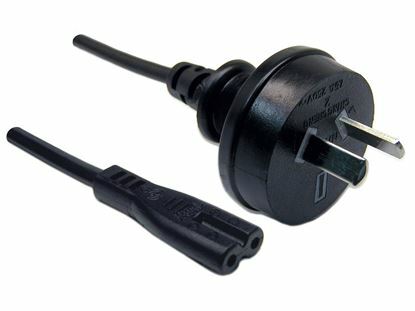 DYNAMIX 2M 3-Pin TAPON Ended Plug to IEC Female Connector 10A. DYNAMIX 2M 3-Pin TAPON Ended Plug to IEC Female Connector 10A. 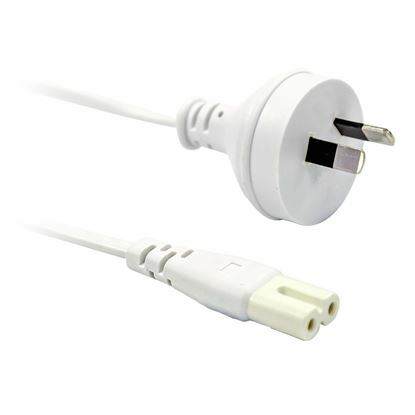 SAA Approved Power Cord. 1.0mm copper core. BLACK Colour. DYNAMIX 1M 3-Pin to Clover Shaped (IEC 320 C5) Female Connector 7.5A. DYNAMIX 1M 3-Pin to Clover Shaped (IEC 320 C5) Female Connector 7.5A. SAA approved Power Cord. 0.75mm copper core. BLACK Colour. DYNAMIX 3M 3-Pin TAPON Ended Female Connector 10A. 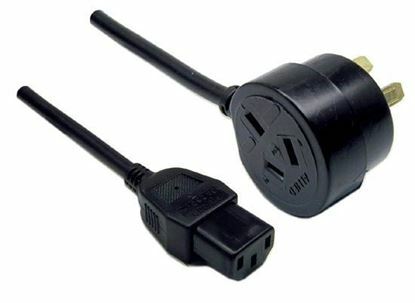 SAA Approved DYNAMIX 3M 3-Pin TAPON Ended Female Connector 10A. SAA Approved Power Cord. 1.0mm copper core. BLACK Colour. DYNAMIX 2M 3-Pin to Clover Shaped (IEC 320 C5) Female Connector 7.5A. DYNAMIX 2M 3-Pin to Clover Shaped (IEC 320 C5) Female Connector 7.5A. SAA approved Power Cord. 0.75mm copper core. BLACK Colour. DYNAMIX 5M 3-Pin to Clover Shaped (IEC 320 C5) Female Connector 7.5A. DYNAMIX 5M 3-Pin to Clover Shaped (IEC 320 C5) Female Connector 7.5A. SAA approved Power Cord. 0.75mm copper core. BLACK Colour. DYNAMIX 2M 3-Pin to Clover Shaped (IEC 320 C5) Female Connector 7.5A. DYNAMIX 2M 3-Pin to Clover Shaped (IEC 320 C5) Female Connector 7.5A. SAA approved Power Cord. 0.75mm copper core. WHITE Colour. DYNAMIX 2M Figure 8 Power Cord - 2-Pin plug to figure 8 (IEC 320 C7) DYNAMIX 2M Figure 8 Power Cord - 2-Pin plug to figure 8 (IEC 320 C7) connector 7.5A. SAA approved power cord. 0.75mm copper core. BLACK Colour. DYNAMIX 5M Figure 8 Power Cord - 2-Pin plug to figure 8 (IEC 320 C7) DYNAMIX 5M Figure 8 Power Cord - 2-Pin plug to figure 8 (IEC 320 C7) connector 7.5A. SAA approved power cord. 0.75mm copper core. BLACK Colour. DYNAMIX 1M Power Cable 3-Pin to Notched C15 Rubber Flex. 1.0mm DYNAMIX 1M Power Cable 3-Pin to Notched C15 Rubber Flex. 1.0mm copper core. DYNAMIX 2M Figure 8 Power Cord - 2-Pin plug to figure 8 (IEC 320 C7) DYNAMIX 2M Figure 8 Power Cord - 2-Pin plug to figure 8 (IEC 320 C7) connector 7.5A. SAA approved power cord. 0.75mm copper core. WHITE Colour. DYNAMIX 8M Figure 8 Power Cord - 2-Pin plug to figure 8 (IEC 320 C7) DYNAMIX 8M Figure 8 Power Cord - 2-Pin plug to figure 8 (IEC 320 C7) connector 7.5A. SAA approved power cord. 0.75mm copper core. BLACK Colour. DYNAMIX 2M Power Cable 3-Pin to Notched C15 Rubber Flex. 1.0mm DYNAMIX 2M Power Cable 3-Pin to Notched C15 Rubber Flex. 1.0mm copper core. 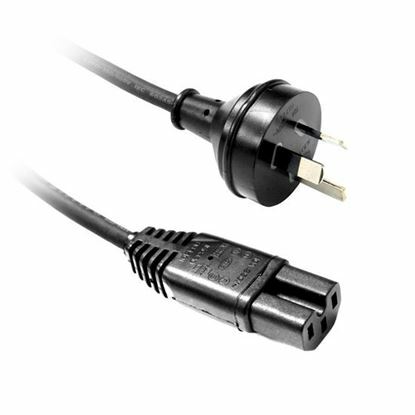 DYNAMIX 2M Power Cord - 15A Rated. 1.0mm copper core. 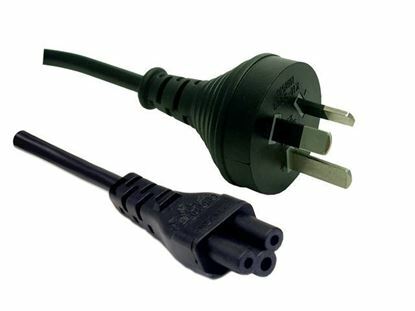 DYNAMIX 2M Power Cord - 15A Rated. 1.0mm copper core. DYNAMIX 3M Power Cable 3-Pin to Notched C15 Rubber Flex. 1.0mm DYNAMIX 3M Power Cable 3-Pin to Notched C15 Rubber Flex. 1.0mm copper core.